Back to the point… I was browsing through my photos yesterday and came across this photo of me, on one of our mares, Cnedra (aka Neddie – don’t ask me where Cnedra came from!). It was a little while back, and if I remember correctly, we had been looking for some clean skins (unbranded cattle) for hours. 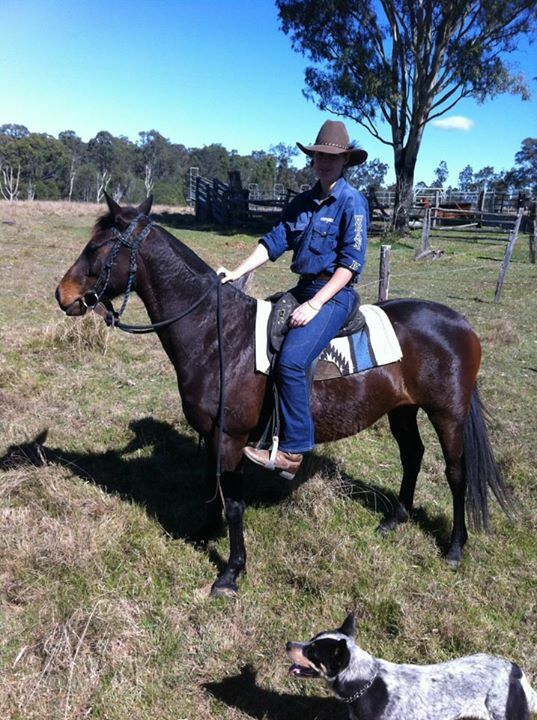 This is a terrible picture her, but Neddie is a really beautiful Australian Stock Horse mare. She is currently in foal, due in November, and I can’t wait to see how her foal turns out. I’ll definitely be putting photos up of the foals later in the year! Anyway, I thought I’d share this photo as it seems some of you like these glimpses into my world. Especially since I follow a fair few equine blogs – some of the pictures I see of manicured horses, and their equally manicured riders put me to shame! 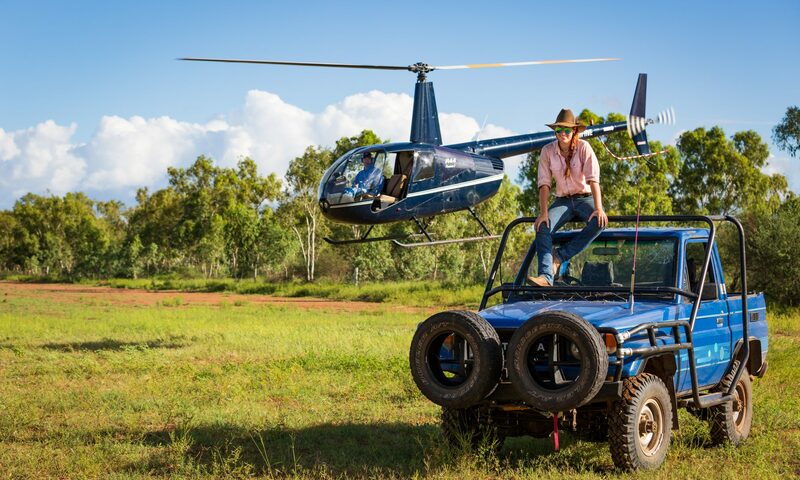 When you’re working on a station, or out mustering cattle there isn’t much style about it, just comfort. This photo of me is actually pretty good compared to the other things I rock the paddocks in. The shirt, although a hand-me-down from Jackaroo, has no rips in it and isn’t white from sun-bleaching yet, surprisingly, neither are the jeans. Might’ve been trying to dress up a bit, you know for Jackaroo. Haha! Jillaroo Jess on Neddie, with Gun the blue dog.